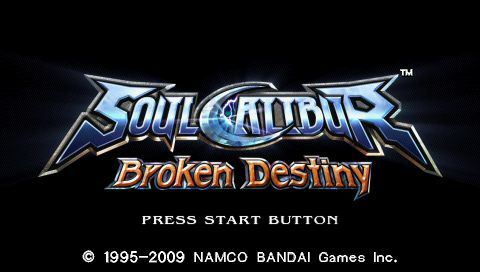 REVIEW: Based off of Soul Calibur IV, Soul Calibur: Broken Destiny is the first ever handheld incarnation of the franchise. 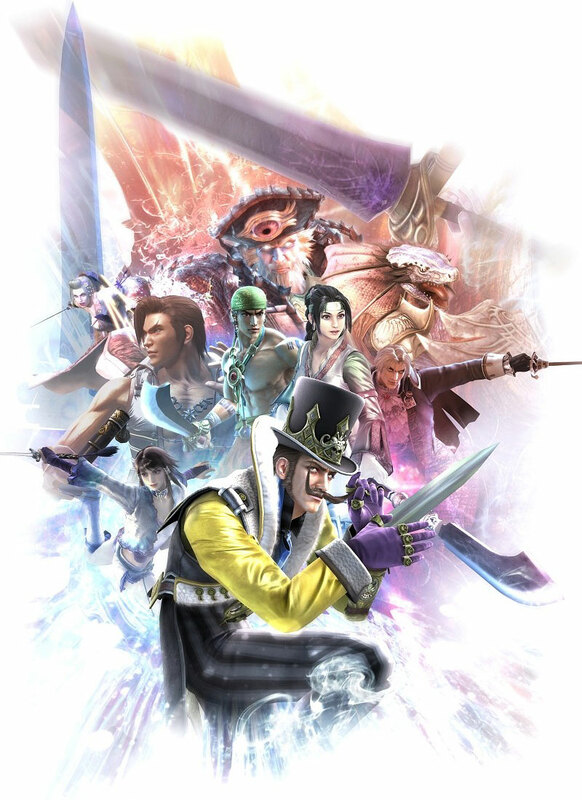 Broken Destiny features 28 characters, including one new entry to the Soul series, the delightfully entertaining Dampierre... 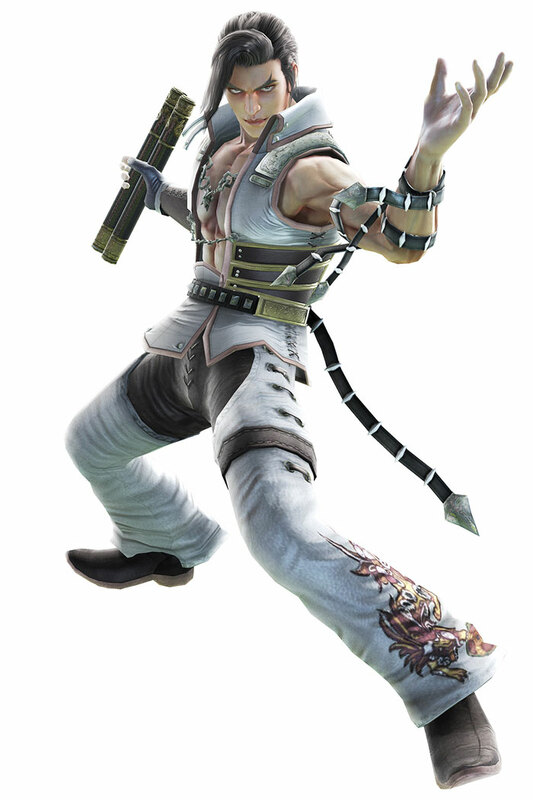 Whom brings along some appreciated comic relief for the series, and also packs a hilariously thought out fighting style. 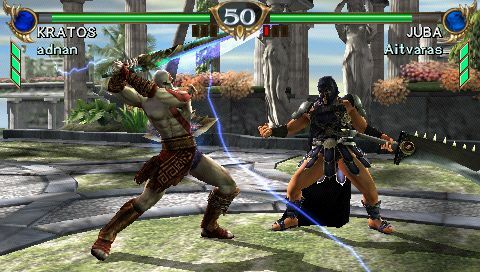 Unfortunately for Star Wars fans, the special guest characters from SC IV were cut from this version and replaced with a new special guest character: Kratos from the God of War franchise, whom seems to fit right in with the rest of the cast; though a couple of his "all powerful" moves are a bit over the top. 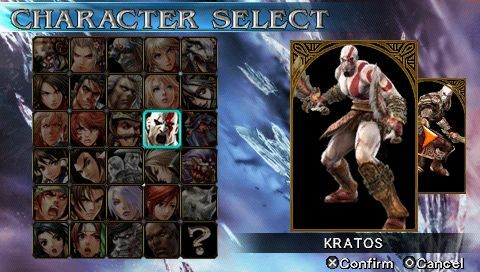 All the default characters from SC4 + Kratos... in the palm of your hands! 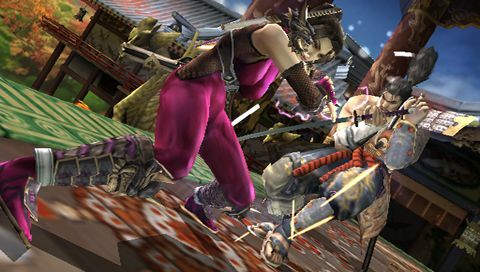 First off, as a handheld fighting game, Broken Destiny doesn't disappoint and is easily of the top 3 best-looking PSP games to date... 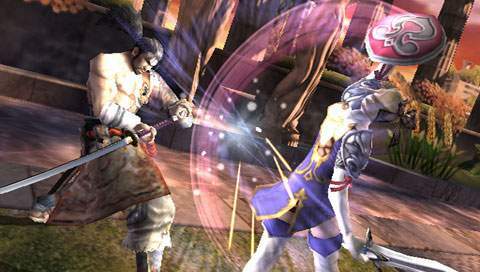 The sharp & sleek visuals run amazingly smooth at 60 frames per second, one of the few PSP titles that can actually pull that off. 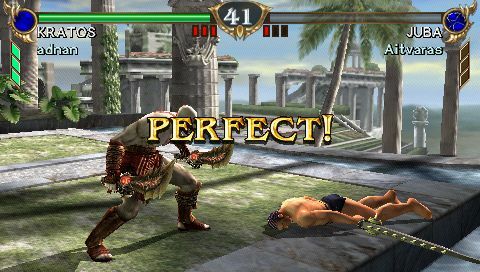 Since no animation or moves were compromised, Broken Destiny animates just as well as it's big brother SC IV, and is practically "arcade perfect" for a handheld port. 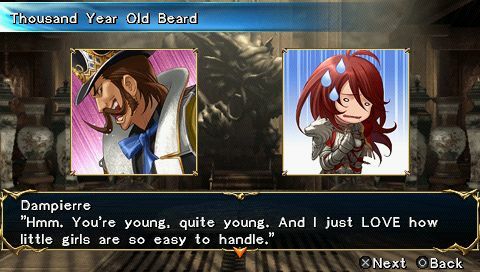 Character models have understandably been toned down with lower quality texture resolutions and a lower polygon count, but overall still look exceptionally good, especially character faces, which don't seem compromised at all. 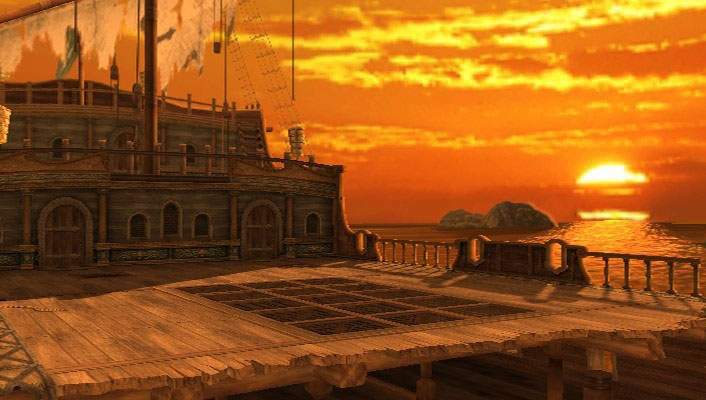 Stages also pack some impressive eye candy, and some have been slightly altered, which also gives the game a "new" kind of feel. 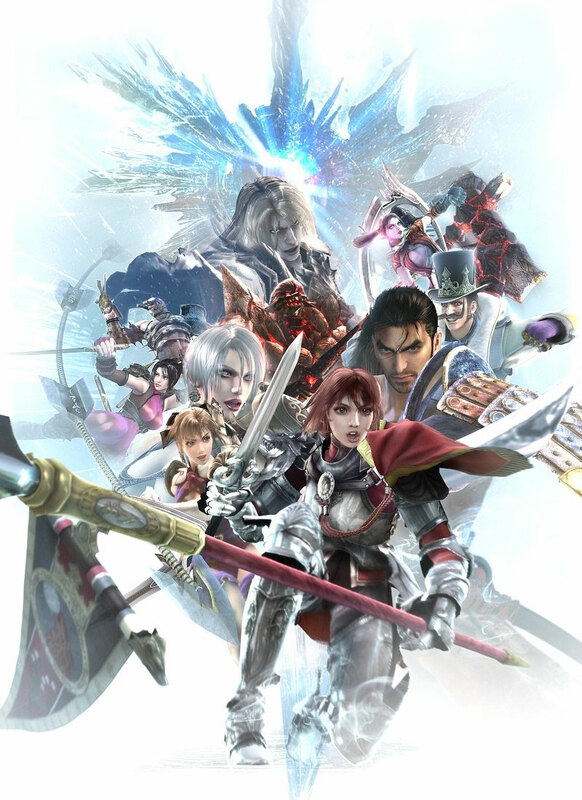 Most importantly, the gameplay is as solid as you'd expect from the series. 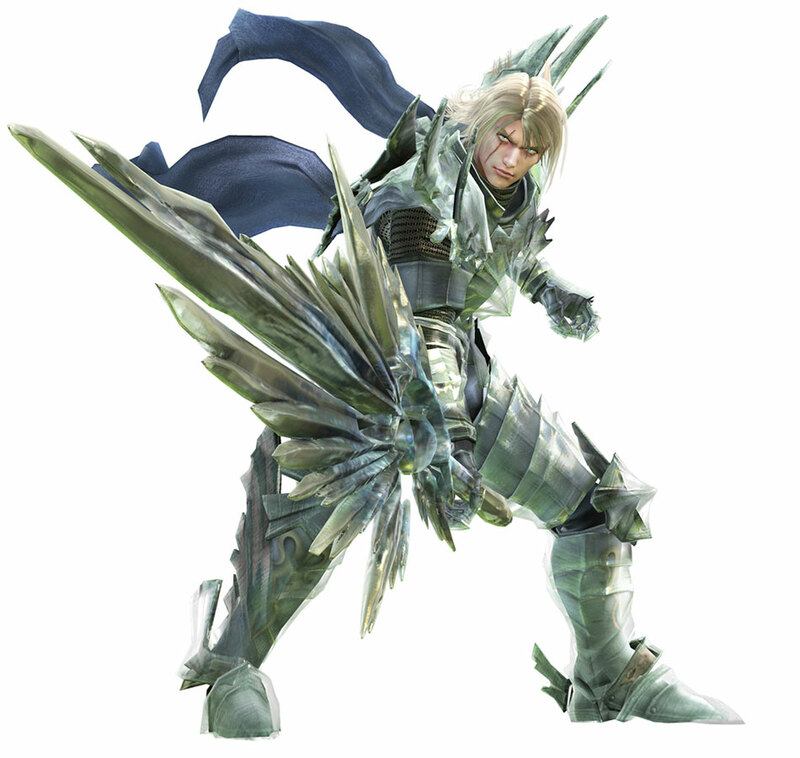 Thankfully, the returning characters retained all of their moves from Soul Calibur IV, and even have some new abilities as well! 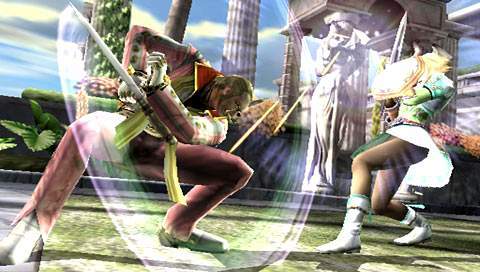 Character balance has been reworked, as a handful of moves were toned down, some having different hit effects... 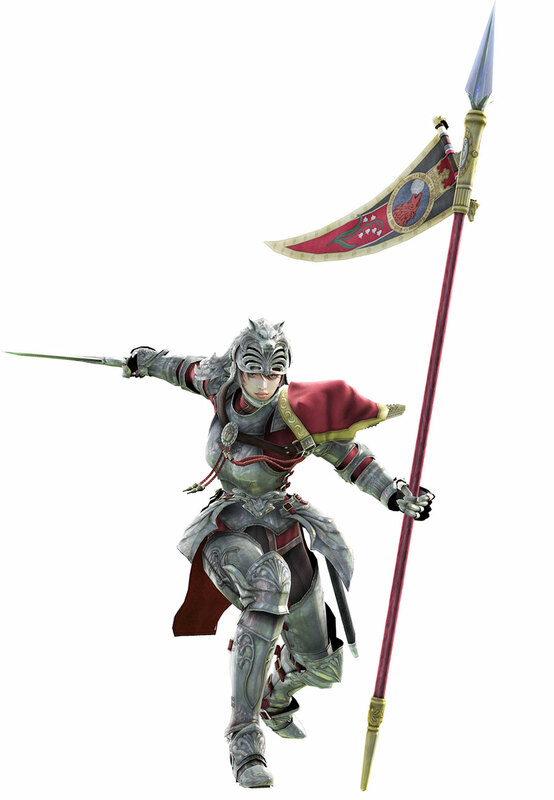 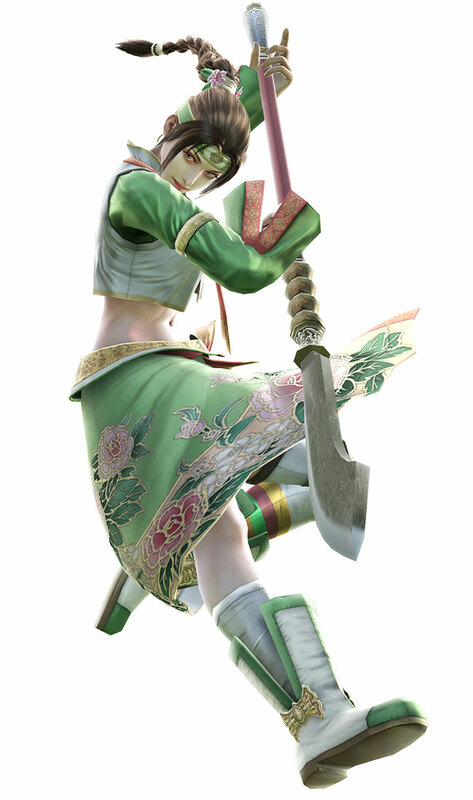 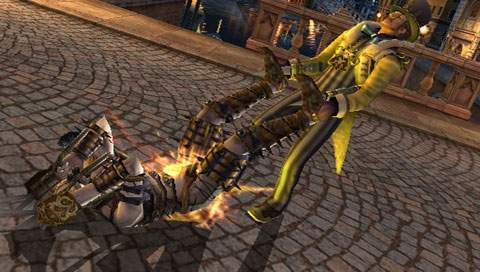 Though most combos and tactics from Soul Calibur IV work just the same. 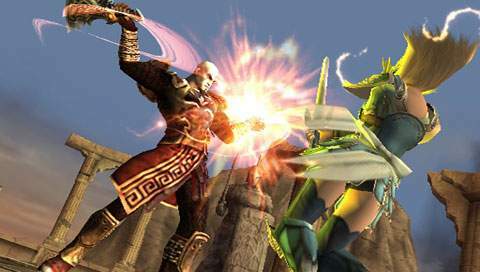 The new gameplay features that were introduced in SC IV, like armor destructions and critical finishes, have returned in Broken Destiny, along with a new mechanic called "Active Purge", which allows your character to break their armor to avoid a potential critical finish, although the character will rightfully take more damage without their armor. 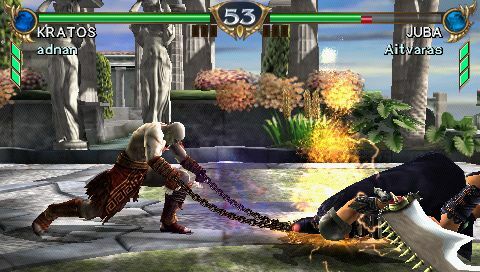 Yup... they done put God of War in your Soul Calibur. 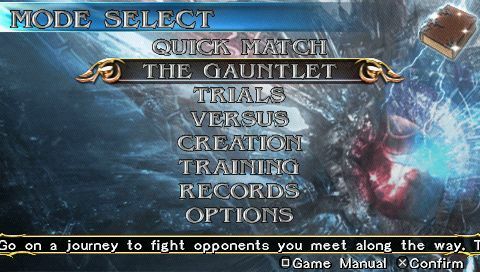 Following in the footsteps of Tekken: Dark Resurrection, Broken Destiny offers a tutorial mode and a great way for "beginners" to learn the system and stop that disgraceful button mashing. 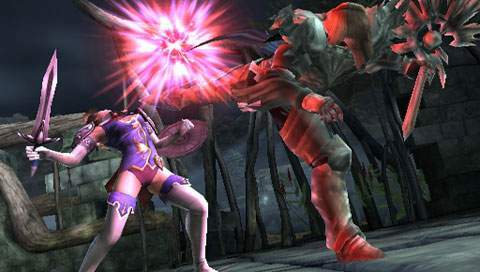 Instead of a traditional tutorial like Tekken: Dark Resurrection offered, Broken Destiny's Gauntlet mode contains over 80 missions which address Soul Calibur's core gameplay mechanics. 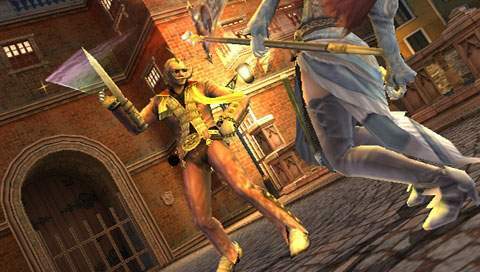 The hosts of the mode: Dampierre, Cassandra and Hilda offer amusing commentary with each mission (which differs when you pass or fail), while you simultaneously practice combat fundamentals, guaranteed hits, sidestepping/8-way run, parrying, throw breaking, etc. 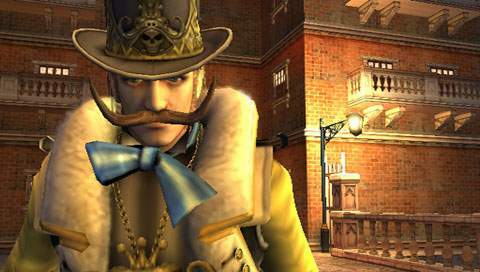 The Gauntlet mode actually reminds me of a Warioware game (hmm, maybe it's Dampierre's mustache), which requires you to think fast and make the right decisions to complete the mission. 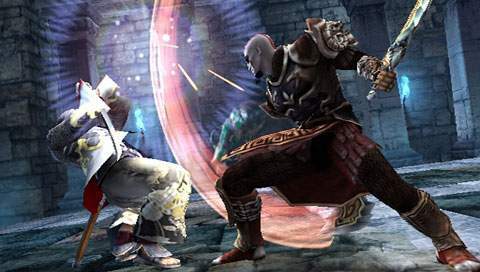 You can even complete most missions several different ways, for example whether you choose to sidestep your opponent's attack or guard impact it, or simply counter with a faster attack. 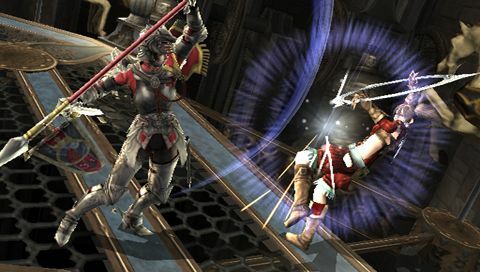 Even the most veteran Soul Calibur player may pick up something from this mode, and though a bit repetitive sometimes, it's a fun play-through to touch up your skills and reflexes. 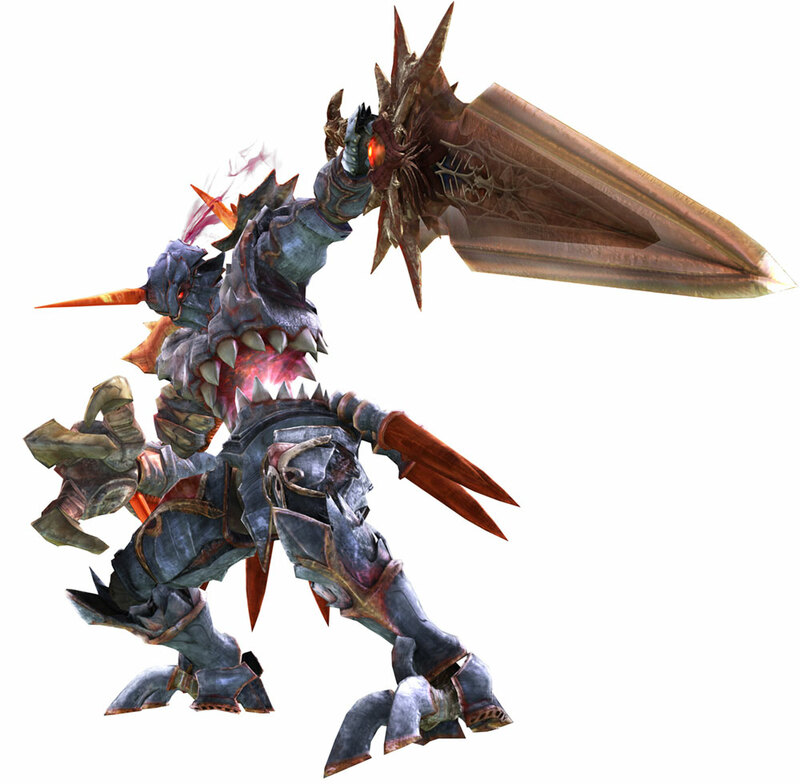 Broken Destiny's other modes include Quick Match, Trials, Survival, Creation and Versus (using Ad Hoc). 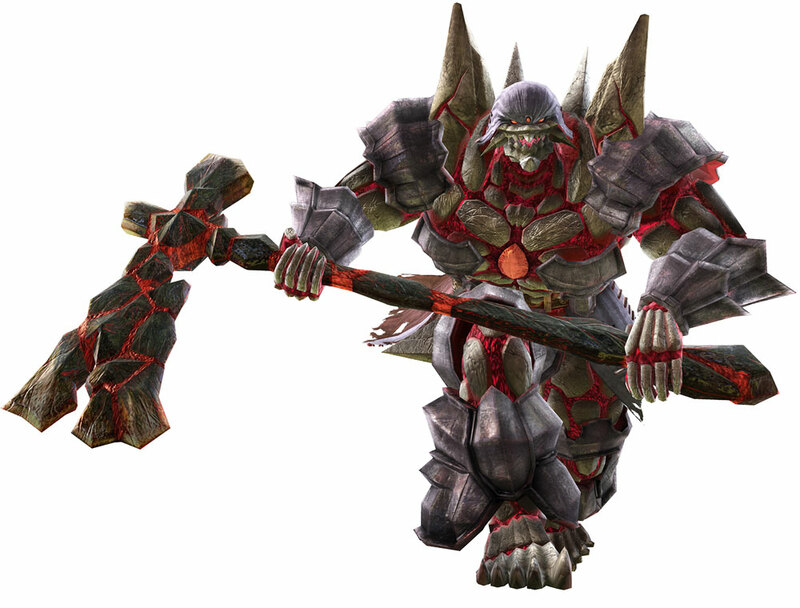 Broken Destiny makes up for it's lack of online mode with some very impressive computer AI. 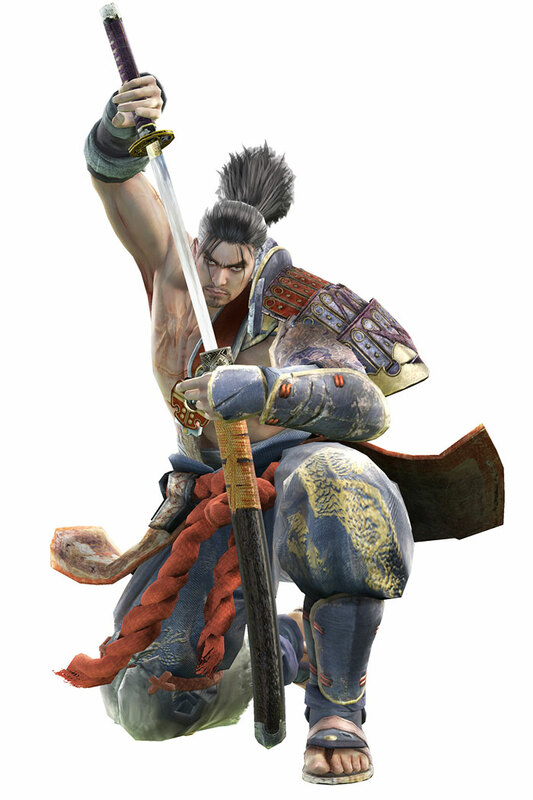 The "custom" characters you'll meet in Quick Match somewhat replicate an online battle (minus the lag), each fighter using noticeably different tactics to try to defeat you... 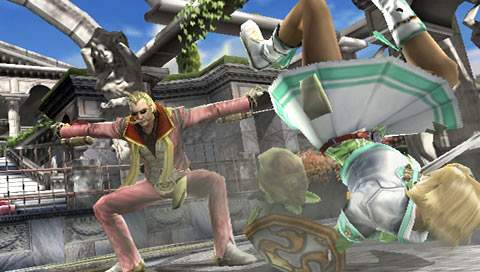 Some computer opponents even shamelessly SPAM the same move over and over again, like some people do online!!! 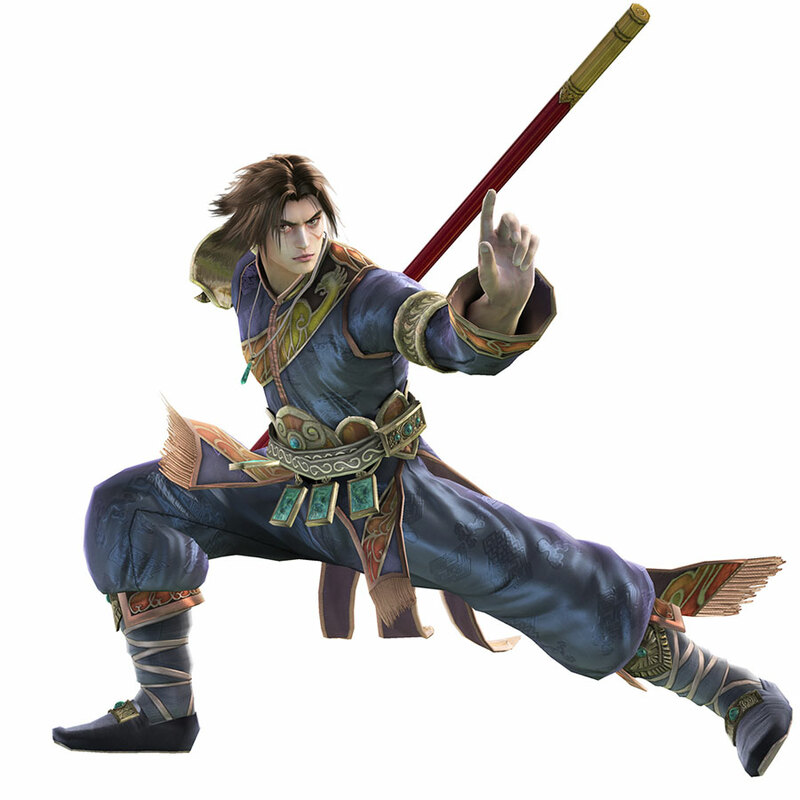 In most cases though, the computer effectively uses 8-way run, combos, parries, avoids ring outs; and sometimes closely replicates fighting against a skilled player opponent! 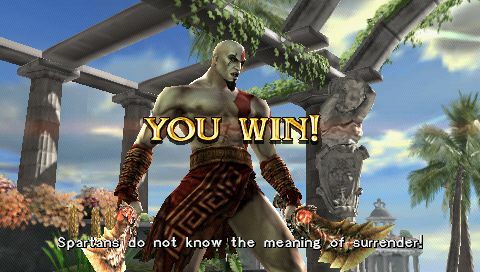 I'm not saying the computer AI doubles as a real player or anything, but it certainly comes close and is some of the best computer AI I've fought against in a long while. 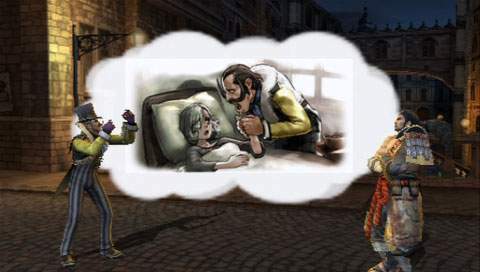 One of the best looking PSP titles of all time! 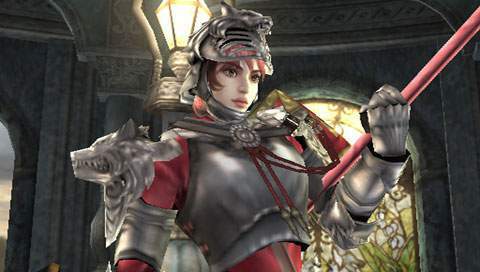 The always enjoyable character creation mode is much like the one found in Soul Calibur IV, featuring plenty of new customization items. 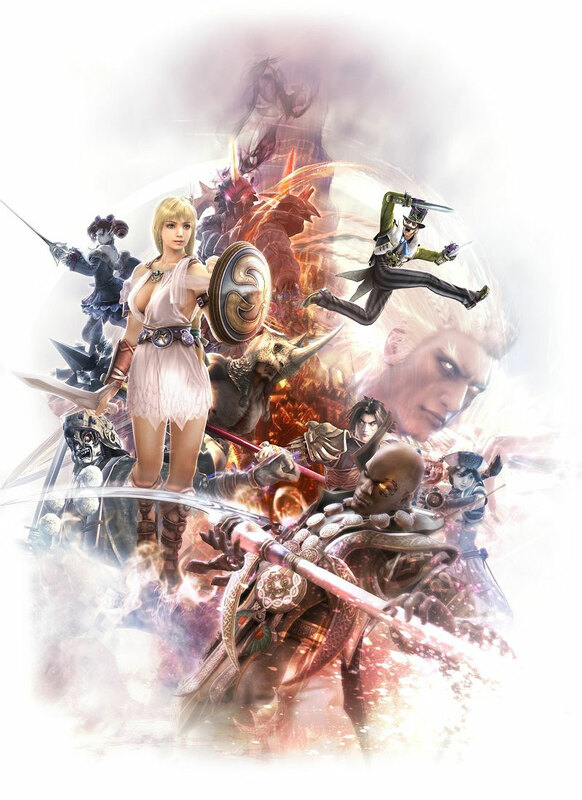 There's also a new photo mode where you can take a snapshot of your created character in a variety of poses and even decorate your custom character's "icon" with frames & backgrounds... an interesting option which is a fun and welcomed addition to the creation mode. 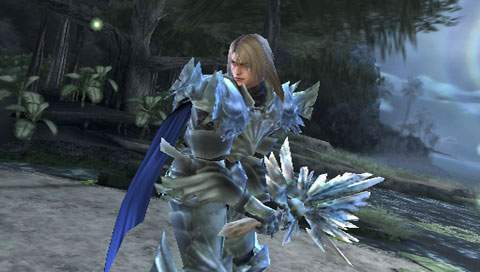 You can still customize the default Soul Calibur roster, but unfortunately you can only change their color scheme this time around; not outfits or hairstyle. 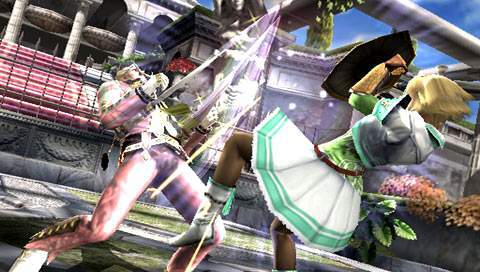 Still, the creation mode is very impressive overall and an improvement over Soul Calibur IV's. 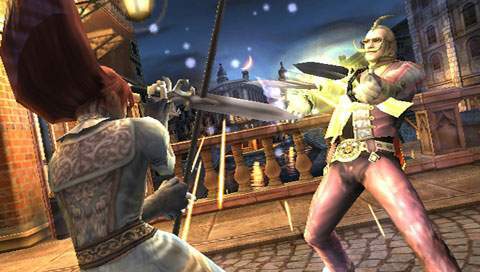 What Soul Calibur: Broken Destiny lacks is a story mode... 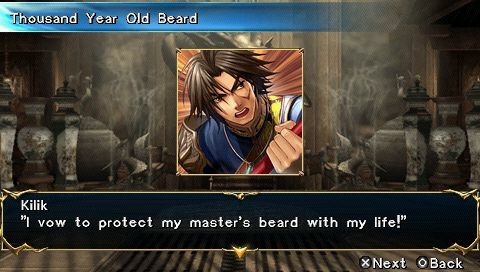 The comical dialogue you'll encounter in Gauntlet mode is a nice change of pace for the series, but falls short of representing the game's engaging storyline. 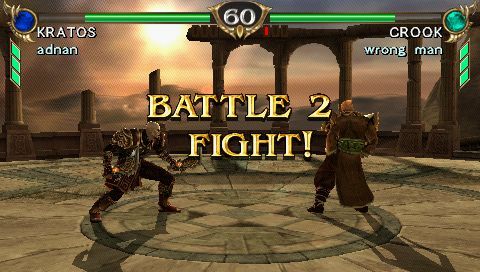 While it's not the most important aspect of a fighting game, a basic story mode or even arcade mode with character endings wouldn't have hurt. 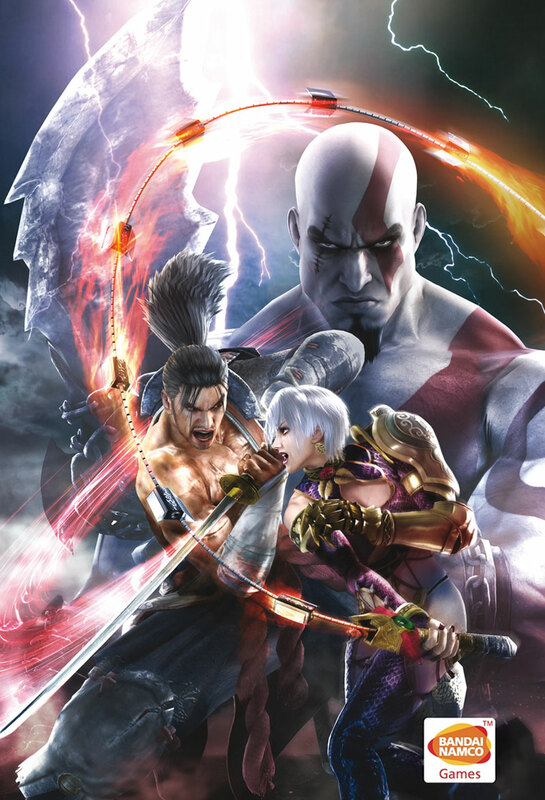 Still, Broken Destiny is another step in the right direction for the series and a rock solid arcade-style fighting game in the palm of your hands. 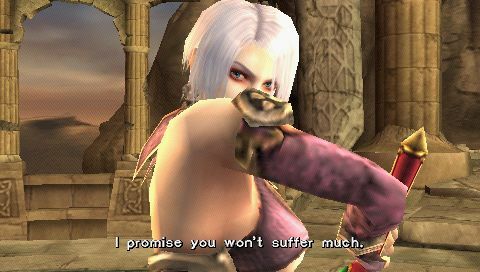 Final Words: With Broken Destiny, Namco has proven once again they can produce a first-rate PSP game. 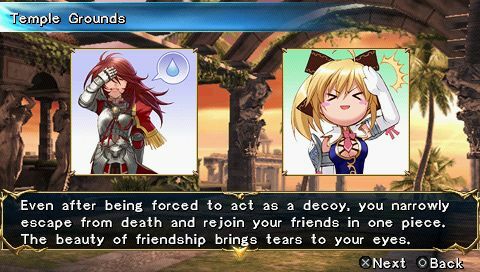 The overall package seems a bit short on the 1-player experience, but playing friends in VS mode is always where it's at, and thankfully 2 player wireless battles are steady & smooth! 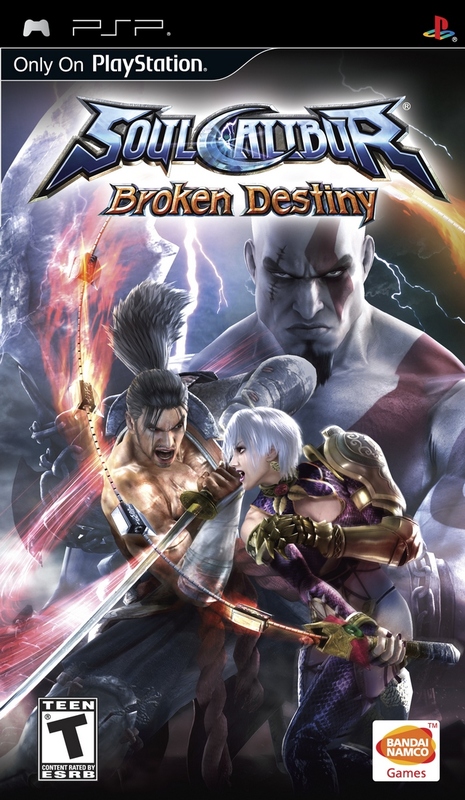 Broken Destiny is a must have PSP title for any fan of Soul Calibur, and generously accessible to new players that may want to get into the series.